At the recent Adobe MAX conference in San Francisco, I had the pleasure to show off Dreamweaver CS4 and it’s improved support for Ajax in the Day 2 keynote. In addition to continued support of the Spry Framework for Ajax, Dreamweaver CS4 also now provides the ability to add jQuery, YUI and MooTools web widgets to your pages. This ability, combined with the new Live Preview and Live Code features, means that you can see and style these widgets without needing to run to the browser. In fact, due to these enhancements, lots of folks who had even “given up” on Dreamweaver in favor of hand-coding are taking another look. If you’re already using Dreamweaver CS4 and you’ve not yet visited the Dreamweaver Exchange to download any of the widgets already available, I’d encourage you to do so. You can even head over to the exchange directly from within Dreamweaver by clicking upon the “gear” icon in the Application bar and choosing “Get More Web Widgets”. By working with the OAA (Open Ajax Alliance), we’ve made it easy for developers to package any widget which conforms to the widget specification. You can read more about all of this by checking out the Dreamweaver Widget Packager on Adobe Labs. 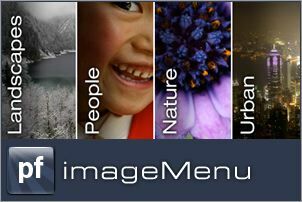 Among the 20 initial widgets available, one of my favorites is the phatfusion “Image Menu”. 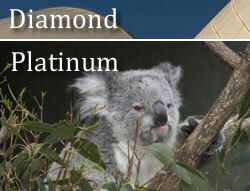 This menu uses images that slide open to expose more of the selected image, which a potential visitor could then click to head off to that section of the site. When I saw this for the first time, I was really amazed – the only problem being that I don’t use the MooTools framework very often. Instead, I spend my time with either Spry or jQuery. But the default CSS is… well… boring. So let’s change it to something more interesting. The first thing that we’re going to do is get rid of some unnecessary code. As I mentioned, each of the list items contains two empty <span> elements that are used to create the (very hard to see in the default styling) rounded corners on the title area of the accordion. We’re not going to need these, so simply remove them. For my accordion, I’ve selected two images that have a bit of text overlayed in the upper part of the images. In order to “display” the entire image, we’re going to need to slice the images up. A quick trip through Photoshop or Fireworks and I have the top each of the images sliced to a height of 39 pixels. I’ve simply saved them in a folder (along with the bottom slices) named “images”. Returning to our markup, we have one final challenge to overcome. You’ll remember that each item in the accordion is really just a list item. But in the CSS, there is only a single selector “.ui-accordion li .ui-accordion-header” defined with the default background image. Because we need a unique background image for each list item, we’ll first remove (or comment out) the background-image property in the “.ui-accordion li .ui-accordion-header” selector. In the HTML, we need to assign a unique ID to each list item. 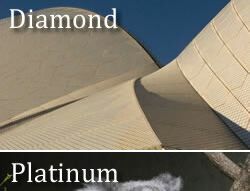 I’ve called mine #diamond and #platinum to match the pictures themselves. 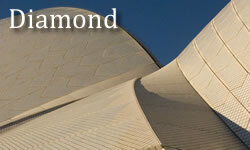 With that, if we take a look in Live View (or a browser), we’ve got an accordion that slides to reveal the larger image. Now let’s get rid of the title text which is overlaying the images. First, I’ve changed the text itself to match the individual images themselves. Obviously, we don’t want the text on top of the image, but we also don’t want to lose the text entirely for accessibility reasons. Remember, there are user agents such as screen readers that would not be able to “see” the text that is part of the image. Therefore we need to add a span around the text itself and create a new CSS rule. The selector simply changes the display of the <span> to block so that we can position it, and then moves it offscreen by -1000 em spaces. This way, screen readers will see and read the text for the visitor, while still allowing the click within the anchor for standard user agents. Hopefully you’ve enjoyed this little tutorial. Feel free to leave a comment, or to suggest other tutorials you would like me to write up. Happy Ajax’ing! Cheers. Is it not possible to use the ImageMenu plugin within Dreamweaver cs4 ‘as is’ (of course customizing re images). Does one have to use mootools or do what you did? I’m not a programmer. @Bill – Yes, you can use the ImageMenu “as is”. This means, however, that you would be using the MooTools framework. 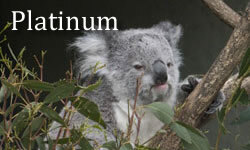 The point of my post was to show that you can do something very similar using the jQuery framework instead of MooTools. In other words, it just depends upon which framework you want to use. I’m a fan of jQuery, but that doesn’t mean that MooTools isn’t a great framework.